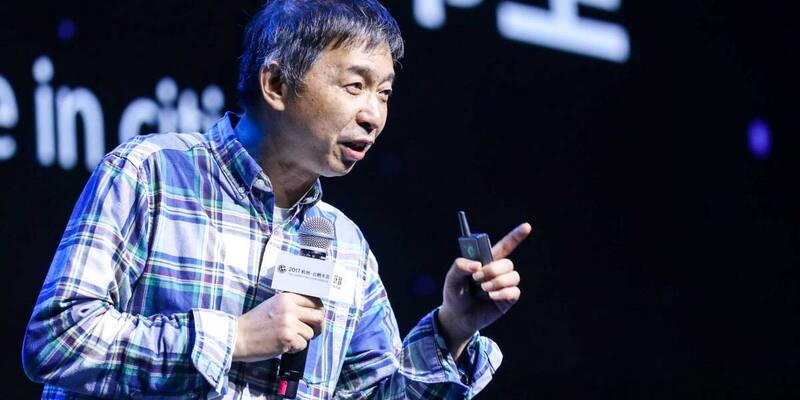 Wang Jian was once called crazy by Jack Ma Yun, the founder and executive chairman of Alibaba Group Holding, for suggesting that the company could have its own mobile operating system. That vision, however, proved prescient as smartphones powered by the company’s YunOS mobile operating platform, which was developed by its Alibaba Cloud subsidiary, surpassed 100 million units last year. In addition, many of the Hangzhou-based e-commerce company’s recent innovations are rooted in Alibaba Cloud, known as Aliyun in China, as domestic demand for data centre facilities and on-demand computing services delivered over the internet have grown rapidly. To that end, a city’s development would be better determined in future by the amount of computing resources it consumes, said Wang. At present, electricity consumption is widely regarded as the measure of development for cities, he added. Similarly, the day-to-day behaviour of a city’s residents now has little impact on how a city is organised as well as the way its services are planned and developed, said Wang. That would change with advanced computing technologies that are able to track human behaviour. “Do you want to take the bus, or is it because it’s been put there so you’re taking it?” asked Wang, using fixed bus routes as an example of how a city’s services are rigid and do not adapt quickly to changing patterns in the behaviour of its residents. Citing the example of a project in northern China, where railway workers were able to tell staff canteens along the line of which meals they plan to have, operators of these dining halls were able to prepare the right amount of food, leading to less waste. In its home market in the eastern coastal Chinese city of Hangzhou, Alibaba has created a so-called City Brain that uses artificial intelligence – specifically, deep learning technology that teaches computers to learn and perform tasks based on classifying data – to send out instant traffic alerts and route suggestions to motorists. Alibaba said traffic speed has improved by up to 11 per cent in one of Hangzhou’s districts, and that several other cities in China were now implementing smart transport programmes. Neil Wang, the Greater China president of consultancy firm Frost & Sullivan, said integrating technology into a city’s operations enabled traffic to be monitored in real-time and fed back to users, allowing drivers to check traffic conditions and adjust their route during the journey, or even find a vacant parking space via a mobile app. The global smart cities market, which comprises of interrelated domains that impact urban living, is forecast to reach US$1.2 trillion by 2019, according to research company Technavio in a report published in February. These domains include industry automation, smart grid, security, education, home and building, health care, transport, and water and waste. Smart cities can use the latest digital technologies to improve their resource allocation, as well as the quality of life for their residents. New York-listed Alibaba, which owns the South China Morning Post, is not alone in trying to make cities more adaptable to human behaviour. Many other companies, including Google owner Alphabet, are involved in various projects around the world that integrate information technology with city planning. In October, Alibaba said it will double research and development spending to US$15 billion over the next three years to develop futuristic technologies that could transform whole industries, or so-called moon shot projects. To do that, the company will set up research labs around the world and hire scientists. For Wang, Alibaba’s annual Singles’ Day shopping festival on November 11 is a testament to the way cloud computing has changed the way people shop in China. This year’s edition of the 24-hour shopping promotion chalked up a record of more than US$25 billion in sales. The event is made possible by the coming together of mobile payments, e-commerce and back-end logistics underpinned by cloud computing. “If you think about it, being able to shop at night while tucked into bed, and having that parcel land on your doorstep the next day is in itself crazy,” Wang said. There will be more inventions that today may look wacky but could be the norm of tomorrow, Wang said. Citing the example of Thomas Edison’s light bulb, which made it possible to demonstrate the usage of electricity, he said future applications on the internet may exceed the limits of human imagination today.